To enable the real-time sharing of information between vehicles, we already orchestrate and transmit video, audio and telemetric data today via LTE. And in the future, we’ll also be using 5G. Our EVO product is being used by Vodafone in its 5G mobility lab in Aldenhoven. Thanks to the see-through technology, drivers of test vehicles can see through obstacles such as trucks at what lies ahead and react accordingly. We worked on two use cases under real-life conditions. 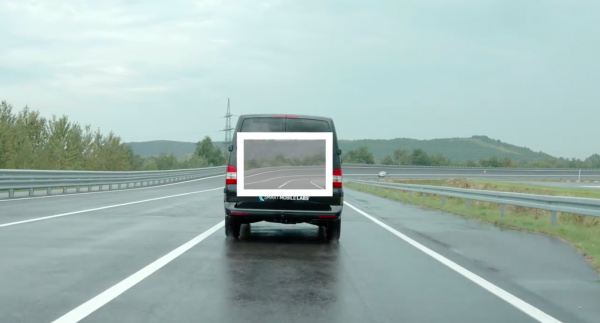 Firstly the see-through use case where vehicles communicate with one another through the EVO technology, which then sends this video out via eMBMS to the vehicle behind. The second scenario is giving the vehicle an ability to foresee any form of turbulence before arriving at the destination through drones and cameras at the destination. At Vodafone Aldenhoven Test Track, Vodafone used the Edge Video Orchestration (EVO) service to enable cars to communicate with one another. By installing drones and cameras any form of turbulence could be foreseen. Watch this video. Exploring these two scenarios successfully is helping in empowering our vision. The EVO technology for real-time video transmission camera to display is a key element. We’re delighted to have SML on board as an innovative and reliable partner for the end-to-end solution.